One of the surprise benefits of BuckAround is the amazing amount of support that is offered by the college football blogging community. I wasn’t sure if the B1G Picture Series would ever work. Finding qualified people willing to contribute time and effort to complete strangers would be a tall order, but we’ve yet to be turned down by anyone that we’ve approached. One of the people I’ve been fortunate to connect with in this process is Brandon Cavanaugh of CornNation.com. We got talking about new safeties coach Bill Busch, who spent several seasons on the Nebraska sidelines, and quickly realized this might be of interest to our readership. In some ways I view Busch as the most intriguing member of the staff as he seems to be personally closest to Andersen and because of the odd fact that was demoted from defensive coordinator (albeit while adding the title Assistant Head Coach) before last season with the arrival of Dave Aranda in Logan. I asked Brandon to put together a few thoughts on what he thought Busch could bring to the Badger staff. 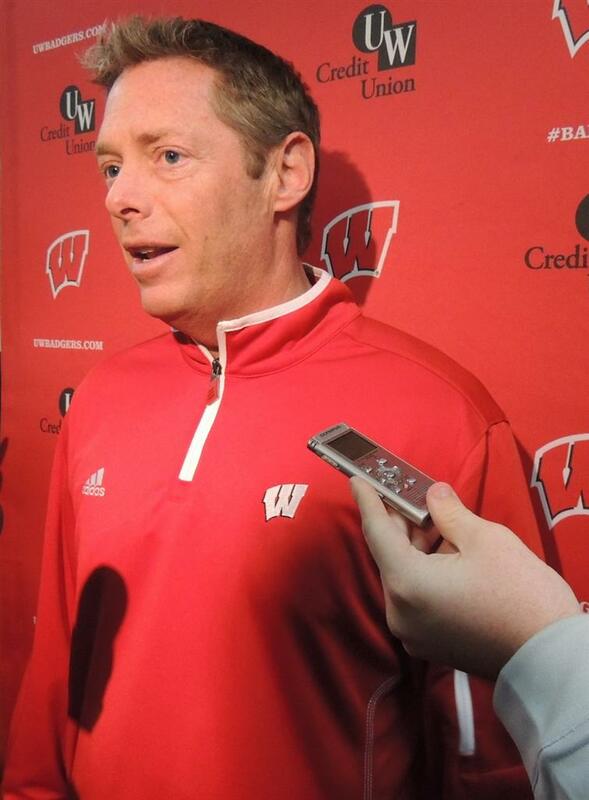 I think he offers some valuable clues about what to expect out of the Badgers safties coach. To give some backstory on Busch, he was hired after Bill Callahan’s initial year at Nebraska and was around until the end of that era, so he had a good three years’ worth of work done at a “name” school. A name school that would end up tanking for a year or two, but I digress. He was likely brought on by Callahan because not only was he a solid recruiter, he already had a number of ties in-state. He’s a graduate of Nebraska Wesleyan as you’re probably aware, earned his master’s degree at Nebraska-Kearney, was a graduate assistant there, and eventually went on to be a GA at Nebraska-Lincoln (a.k.a. the Nebraska you all know and love). What he gives Wisconsin is immediate ties to the Midwest in general as while he did put in a fair amount of work around Nebraska, he branched out into networking within a fair amount of Big Ten country. Outside of the Midwest, he had the most success in and around Las Vegas as well as New Mexico and Arizona. Wouldn’t you know it? That’s exactly where he hit for Utah State and will continue to do so while at Wisconsin. While at Nebraska, he went to Arizona and found these guys that were looked at as worth putting on a roster by the schools that offered, mostly Pac-12, but they didn’t really stand out. Today, three are in the NFL, two helped Bo Pelini put together one of the best defenses in Nebraska history (2009), and one has a Super Bowl ring at the age of 23 (OL Marcel Jones, DB Eric Hagg and CB Prince Amukarama, respectively). He also plucked Zack Bowman, a current Chicago Bear, out of New Mexico. In terms of being a secondary coach, Nebraska’s better off with Terry Joseph. However, if Busch were to be added to the Huskers’ staff in some other capacity, let’s say a current coach was removed and he worked with special teams, recruiting ability would immediately increase, especially with his ties to Utah. Rich asked about his jumping around the defensive staff while at Utah State, even dipping his toe into coaching special teams. He may have been in over his head at defensive coordinator as his contributions to the Huskers’ secondaries did well. Obviously there’s a slight difference between improving a few specific ships and controlling the entire armada. He has experience working with special teams as well, so that move didn’t strike me as odd. He should do well as the safeties coach at Wisconsin. It’s an area he’s very good at developing quality talent at, and if he can mesh with Ben Strickland, the Badgers should be able to put together a formidable pass defense. Brandon Cavanaugh is an Editor at CornNation. He can be followed on Twitter. Posted in Coaching Profiles and tagged with Bill Busch, Nebraska. April 7, 2013 by Buckaround.